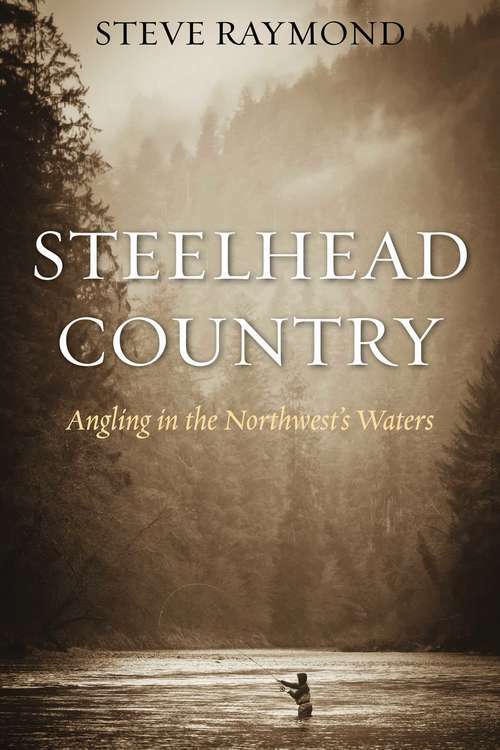 Steelhead Country is not just a collection of random fishing stories. It is a personal and lovingly crafted account of a life spent immersed in a tradition that stretches back generations. Acclaimed flyfisherman and author Steve Raymond paints a picture of the world of steelhead trout that is "a realm of vast landscapes, of cold mountain rivers flowing down through silent, shadowed forests . . . , of ragged coastlines honeycombed with hidden harbors and secret bays where bright rivers mingle with the sea. ” Raymond traces not just the journey of steelhead along the icy gray rivers of the Pacific Northwest but also his own development as a flyfisherman, recalling following in his father’s footsteps and joining him on quiet waterways. Then, steelhead were more a myth than reality--something he only knew from stories. He began to look anywhere he could for information on how to catch this unique, elusive fish, until finally, in a moment of adrenalin-filled excitement, he caught his first steelhead. Steelhead Country tells the story of a life in fishing in the same vein as Roderick Haig-Brown’s A River Never Sleeps. Through the joys and challenges of fly fishing for steelhead, Raymond describes and pays tribute to his connection with nature and a great fishing tradition.